The "Polustrovo" Hotel is located not far from Ploschad Lenina metro station and Finlyandsky railway station. This district is both historic and modern. The hotel is situated within 20 minute drive from the city centre with its well-known places of interest: Nevsky Avenue, the Kazansky Cathedral, Dvortsovaya Square, canals and beautiful streets of St.Petersburg downtown. The area around the hotel has developed infrastructure: a lot of shops, apartment houses, and advanced transport communication with other city districts. 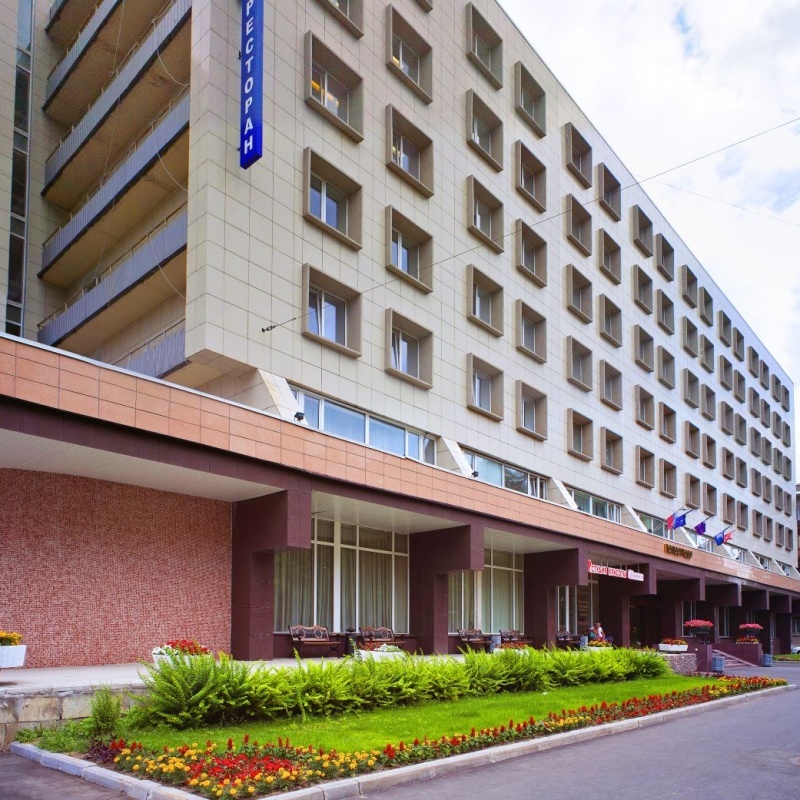 The Polustrovo is a modern 7-storeyed hotel complex. The hotel building was constructed in 1976. Today the hotel offers accommodation in 220 rooms of the following categories: Standard Double, Business class Single and Double, Junior Suite, Suite and Apartment. All rooms are fitted out with modern furniture, TV, refrigerator, telephone, bathroom with a shower cabin or a tub. The "Russian" restaurant is situated on the ground floor of the hotel and can accommodate up to 100 people. A cozy ambiance provides the perfect place to enjoy any event from weddings and birthdays to a quiet evening with friends or a noisy corporate party. The restaurant offers European and Russian cuisine, business lunches, room-service and tourist group service. There is a caf?-bar on the third floor of the hotel with a wide range of drinks and snacks. The cafe is open round-the-clock. The new conference area of the hotel is a perfect place for all kinds of business events: conferences and presentations, staff training and negotiations. There is no additional fee for organization service. The following facilities are available: TV and VCR, multimedia projector, overhead projector, transferred screen, boards, flip chart, sound equipment, microphone, PC, printer, photocopier, Internet access. The conference area can accommodate up to 270 persons. Other hotel services include: excursions, ticket booking, taxi and transport services, a beauty parlour, a parking place, safe deposit boxes, a luggage room, currency exchange, a souvenir shop, a bank branch office, children's room, gym, sauna and pool.